Safety - Korte & Luitjohan Contractors, Inc.
We at Korte & Luitjohan Contractors, believe that safety is no accident. Our work is truly successful when completed without incident or injury. We will not compromise the safety of our employees, the public, our clients, or our subcontractors. Every job begins by identifying and establishing safeguards which remove or mitigate any hazards that could prevent us from completing the job safely. 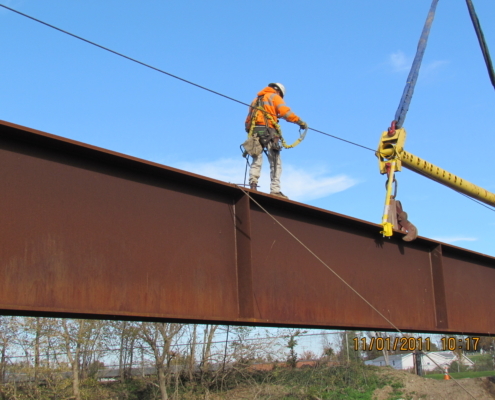 Working as a team, we are committed to the same principles of safety, quality of workmanship and productivity, which enables us to deliver projects in a timely, and safe manner. Monthly safety meeting for all field personnel and project management staff. Weekly tool box talks on all projects, which include all subcontractors currently active on site. Incentives for Project Superintendents for conducting weekly tool box talks. Job-site pre-task safety meetings for all safety sensitive work activities, such as crane lifts, roof work, excavations, and scaffolding, etc. Membership and participation in SIBA’s Safety Education efforts. Membership and Trustee in Consolidated Construction Safety Fund, a self-insured Workers Compensation Trust. 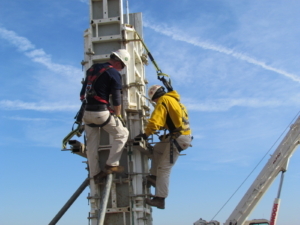 Requirement of all P/Ms and supervisors to hold 30 Hour OSHA certifications. Requirement of all in-house craftsmen to hold 10 Hour OSHA certifications – many have acquired 30 Hour Certifications. Registration and high ratings in the Safety/Quality compliance testing providers, Browz, Avetta and IS-Net World. Click here to see some of our Safety Awards!